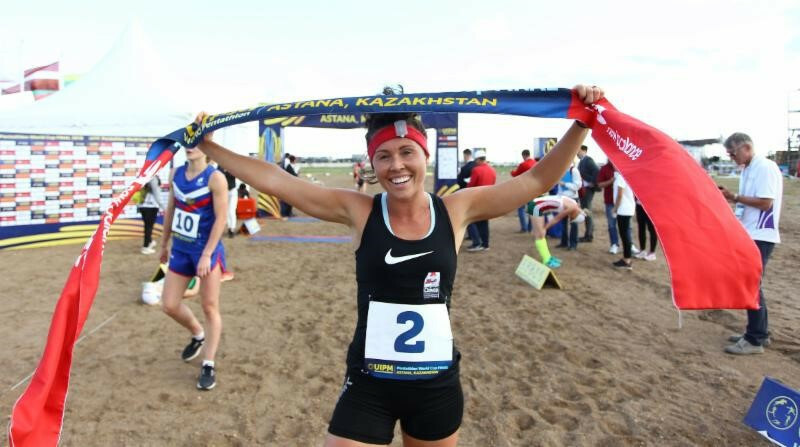 Olympic champion Chloe Esposito added the International Modern Pentathlon Union World Cup Final title in Astana today. The 26-year-old Australian, who won the gold medal at the Rio 2016 Games, was in fine form as she won another major title in the Kazakh capital. She began with 20 fencing victories and 14 defeats, before clocking the fourth quickest swimming time of 2min 11.69sec. In the jumping, Esposito finished in sixth position after going clear, and she ended on a winning tally of 1,337 points after coming home first following the laser-run. This was a first World Cup Final win for Esposito, who started second going into the final discipline. "My fencing performance was the best I've ever had in my life so I was really happy with that, and then I equalled my personal best in swimming," she said. "In the riding I was so happy to have a clear round and then I went into laser-run in second place, which is strange for me because I usually start further back. "I was a little worried I wouldn't handle the shooting pressure but everything went well." Hungary's Sarolta Kovacs won the silver medal after ending on a total of 1,324. She began the laser-run in first place but was passed by the Australian. "It was a hard competition but the key for me was fencing, which was very good," Kovacs said. "Swimming is my best and favourite event in pentathlon and I had a good result, and in the riding I only had one knockdown. "I started laser-run in first position and I knew Chloe was there, but I felt in good shape for the first three laps. "At the fourth shoot I gave away a lot of time, but I'm so happy with my second place." Gintare Venckauskaite of Lithuania won the bronze medal. The men's final will be held tomorrow at the season-ending event.